Try out this Puli Inji recipe for this Vishu and Enjoy the festive with your family and friends. Its quite simple, healthy and extremely good in taste. If you like sour, sweet and spicy, its for you. Crush the urad daal and Fenugreek seeds using a mortar and a pestle, or grinding stone(don't need to powder them, just break them into smaller pieces. Set aside. Add chopped ginger and saute well for a while say 5 to 7 minutes till they turn light golden color. Set this aside. You can simmer the stove to medium heat when they start to boil. Now add the sauteed ginger mix and stir and let it boil/cook till the gravy start to thicken. It takes around 45 mins to 1 hour to thicken the sauce. Switch off the stove, let it cool down completely. Puli Inji tend to thicken even after you take them off the stove, so you don't have to wait till the gravy is very thick. 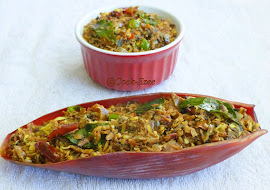 Though it is a Sadya dish, you can make it anytime, any occasion or include in daily menu. It lasts for at-least three-five days if kept at a cool, dry space at room temperature and longer when refrigerated. wonderful spicy hot puli inji !! Looks yum. I love that tanginess. Tongue tickling recipe, looks awesome..
wow really mouthwatering dear,too gud recipe...yum. Happy Vishu...mouthwatering recipe looks so tempting. aww.. delicious.. First time here, I can blog full of Kerala cuisines. I'm still a budding cook when it comes to Kerala dishes. And my DH, a pakka Mallu, craves for these Kerala delicacies. Have bookmarked so many recipes from your blog. Will try them soon. Thanks for sharing. 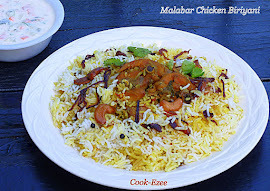 hi prathiba, looking at your pics, i can tell by the color that the dish is very appetizing. already bookmarked with thanks. Good capture n yummy tempting puli inji !! Happy vishu to you too. Puli inji and puli milagai are my fav. have them any time any day...your clicks are tempting.. Happy vishu. Puli inji looks so yummy n tangy. Happy Vishu to you and family. Pulinji looks perfect. Kandittu vaayil vellam varunney!!! Looks soo awesome! Belated Vishu wishes! That looks deadly delicious and mouth watering! Great color and looks so delicious!!! Hope u had a great vishu...olan pic in the grass adipoli ..I love puli inji,but never made myself,looks yummy ! this is one of my hubby's favorites...bookmarked !! !